Pound to euro exchange rate: How did the Brexit vote affect sterling? The pound is at the mercy of Brexit and, with the UK facing even more uncertainty following Theresa May’s defeat yesterday, there will be even more volatility for GBP, experts have warned. Sterling fell against the euro yesterday evening following the vote but has soared since, peaking higher than yesterday morning. The pound is currently trading at €1.128 against the euro, according to Bloomberg at the time of writing. “Theresa May has just experienced the largest defeat for a sitting government in history,” Ian Strafford-Taylor, CEO of currency expert FairFX said. “As MPs went to vote on May’s proposed Brexit deal, the pound stood 14 per cent down against the Euro, and down 13 per cent against the US dollar compared to the day of the Brexit Referendum. It is uncertainty around Britain’s future which has the greatest impact on the pound and will continue to react to Brexit developments. “Whenever there is economic and political uncertainty this creates negativity and causes a drop in confidence in the market, meaning that the pound decreases in value accordingly,” said Strafford-Taylor. Britons heading abroad on holiday are advised to keep an eye on the exchange rate. “Currency must play a pivotal role in holiday planning, and savvy holidaymakers should be keeping a very close eye on currency and its reaction to the latest political events,’ explained Strafford-Taylor. 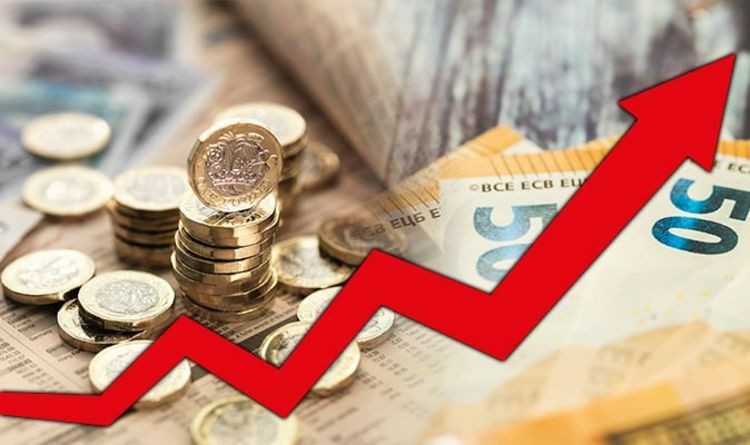 For instance, Turkey has dramatically increased in popularity with British holidaymakers thanks to the crash the Turkish lira in 2018. The ongoing weakness of the Turkish lira means holidaymakers can expect their pounds to stretch almost 29 per cent further in Turkey than a year ago. According to the Post Office, for customers withdrawing over £400 today, they will get €1.08 for every £1. Those getting out over £1,000 will get €1.10 for £1. LG G7 ThinQ review: Can the company’s newest flagship truly rival the Galaxy S9+?